Photo courtesy of Melbourne Cricket Club, first published in the Leader, 5 January 1895. 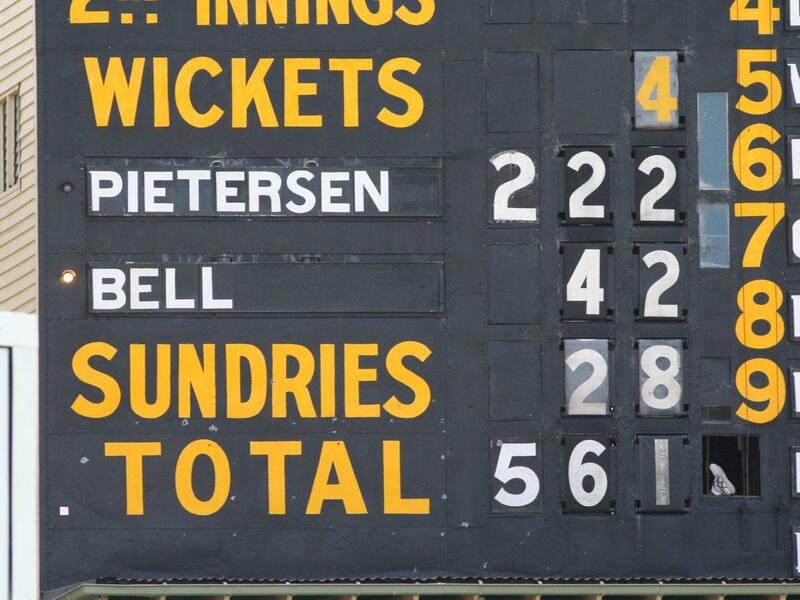 Scoreboard Pressure’s been poking about the archives for photos of Ashes scoreboards. We found a handful at the bottom of the filing cabinet in the garage near the table-tennis table, beside the box of pads and gloves and bats and balls. Send us some Ashes scoreboard photos if you wish. Photo courtesy of the Melbourne Cricket Club, first published in The Australasian, 14 January 1911. 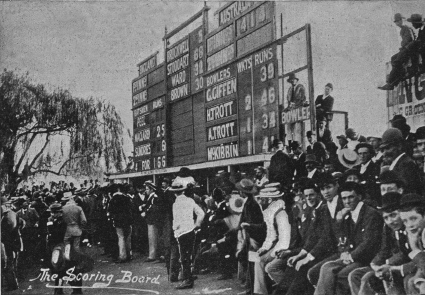 Victor Trumper bringing up his century in the January 1911 Test against England, in front of an appreciative crowd, and the 1901 brick scoreboard. MCG 1979. Photo by Les Everett, Scoreboard Pressure’s co-founder and opening left-arm swing bowler. Adelaide Oval 2010-2011. Photo by freelance photojournalist Peter Argent. PLA Media. 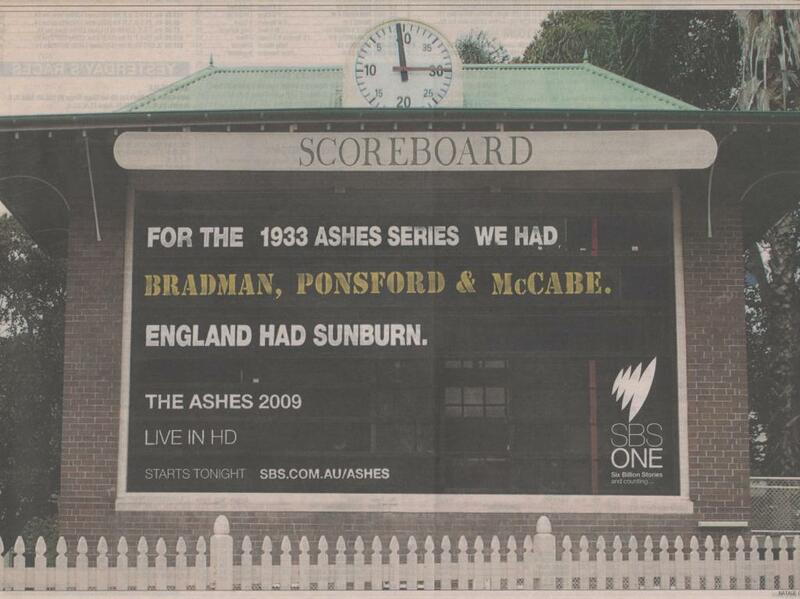 In the Australian winter of 2013 the Ashes were on Gem TV, the Channel 9 digital station. 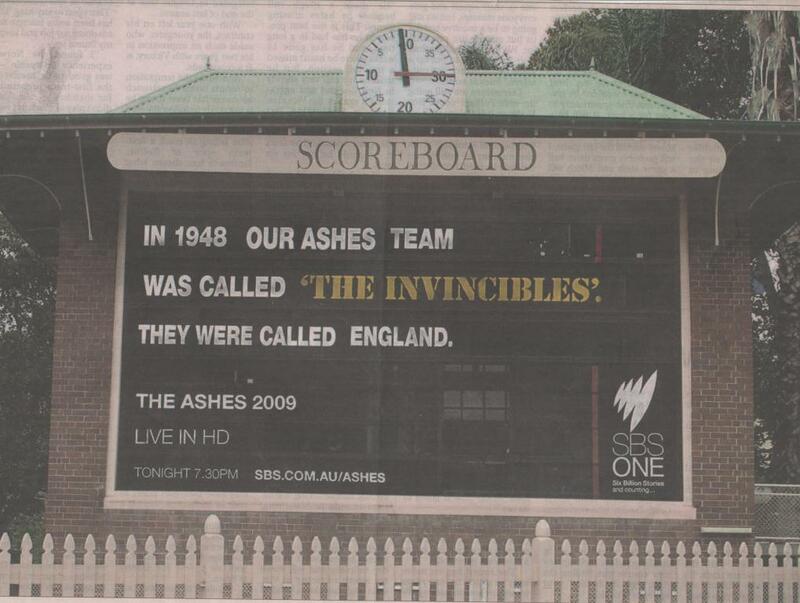 Back in 2009, the Ashes were on SBS. Does anyone know the whereabouts of the scoreboard below? Given that England won the Ashes in 2009 and again in 2010-11 and again in 2013, the score is now be Australia 31, England 31. Plenty at stake this summer. 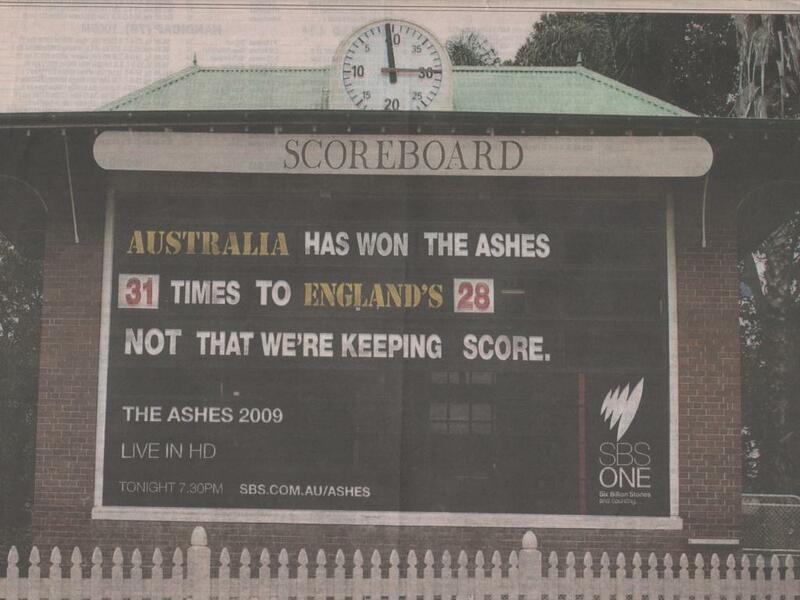 You’ll also find a few more Ashes scoreboards by Googling (googly-ing?). Enjoy the Tests. All ten of them. 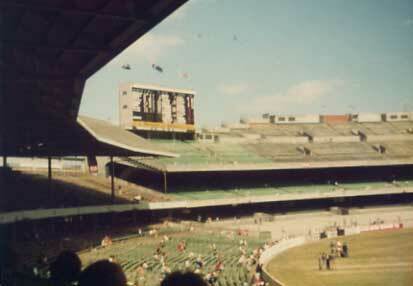 Pretty late with this reply but that scoreboard is at North Sydney Oval. Much appreciated Les. Thanks for visiting Scoreboard Pressure.